Netflix is expected to announce its India services at CES 2016. Here is how the streaming service is going to affect India consumers. Jessica Jones, Daredevil, Orange is the New Black, House of Cards and many more are household names when it comes to entertainment among the youth in India. Despite being Netflix-excusive shows, these have found their way into a lot of Indian computers and smartphones, thanks to the beauty of the Internet. Now, it looks like Netflix realises the potential of the Indian market, and is all set to officially launch the Netflix streaming service in the country. Netflix CEO Reed Hastings is going to deliver a keynote on January 6th at CES 2016, Las Vegas, where it is expected that the company will interact with Indian tech journalists reporting on the event. We are all very excited that Netflix is finally coming to India, but what does this mean for consumers out there? Will this affect the way you watch shows? Will consumers finally have seamless access to Netflix? Here's what happens, as of now. If you are finnicky about the resolution and quality at which you watch some of Netflix’s most popular shows, then you will undoubtedly download them over torrents at the best possible resolution. To put things into perspective, a good 1080p copy of Jessica Jones is about 5GB per episode, and a 4K copy can go all the way up to 20GB per episode. That’s for the quality fanatics, of course. For the rest of us, there are smaller sized files available to download. If you have a conscience and do not want to download the TV shows but stream them like the rest of the world, using a VPN is the best option for you. Sure, it isn’t the safest option, but at least you are paying Netflix and subscribing to their service. There are a lot of free and paid VPN services that help you access Netflix, but we will not discuss it here. "Looks like Netflix realises the potential of the Indian market"
Above are the two popular ways in which you can access Netflix in India. If the service is indeed launching in India, you may not need to break the law to follow your favourite shows. But, in order to be successful in India, Netflix may need to take care of a few things. Yes, Internet connectivity is a big issue in India. The average broadband speed is appalling, and there are only a handful of places in the country that have great Internet connectivity. There is information circulating the Internet, which suggests that Netflix will tie up with 4G operators to make the most of the service. As of now, only Airtel has started its 4G services, and it isn’t great in the current condition. Reliance Jio is expected to launch soon, so there is a ray of hope there. Until the old-fashioned broadband condition improves in India, there is little to look forward to. "No way people are going to enjoy movies or TV shows if content is censored"
Luckily, we do have video streaming services in India like Eros Now, Spuul and more that get the job done, when it comes to streaming movies. Services like Spuul also offer offline playback, so those looking to watch moves on the metro railway, where Internet access is bad, can still do so if they have saved the movie for offline playback. Lower resolution is also an option, although it isn’t an ideal option. Nonetheless, the service will be easily accessible to the masses who don’t have a great Internet connection and don’t mind watching videos in acceptably low resolution. If Netflix brings offline playback to India, consumers can save the content in good resolution on their devices and enjoy them later. If there is one thing that defines the Indian consumer's buying behavior, it is pricing. 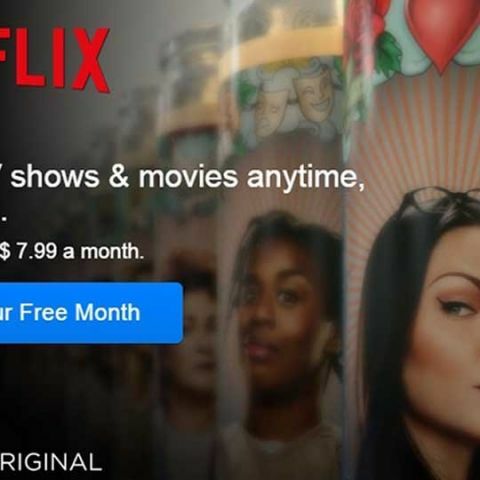 In its US pricing strategy, Netflix is free for one month, after which its costs about $10 a month, for its most popular plan. This plan allows two simultaneous streams for each customer and also includes high definition streaming. There is a cheaper non-HD plan, for approximately $8 per month. Directly converted, these plans cost about Rs. 670 and Rs. 530, approximately. If Netflix wishes to succeed, it needs to follow Apple Music's pricing structure in India, to gain mass-market attention. One of the best aspects of Netflix is that all of its content is uncensored, while one of the worst things about India is our censorship board. There is no way people are going to enjoy movies or TV shows if content is censored. After all, we do enjoy blood, gore and love when it comes to movies and TV shows. There you have it! Everything we think Netflix needs to truly capture the Indian market. Now, all we need to do is look forward to the second season of Daredevil, and Season 4 of House of Cards.